Our aim is to work in partnership with local medical teams. We help them to deliver health care to those people who would otherwise not have access to medical treatment because of poverty or conflict or geographical location. Our focus is on building a professional, but friendly, relationship with our partner doctors and nurses and assist them in making healthcare affordable, accessible and sustainable for their patients. This encourages local medical staff to remain in their home country, rather than having to search abroad for work. Their patients receive high quality medical care. 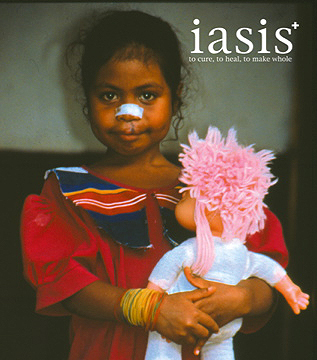 You can read the story of Iasis and our projects so far, on the website. Currently we are working in Ethiopia and Romania. We are always looking out for new projects, and we would love to hear from you if you or someone you know needs assistance with a medical project.